In response to the social inequities and ecological damage wrought by an industrial and globalised food system, a growing food movement that champions food and farm justice, sovereignty and democracy is driving social, economic and political change across the globe. 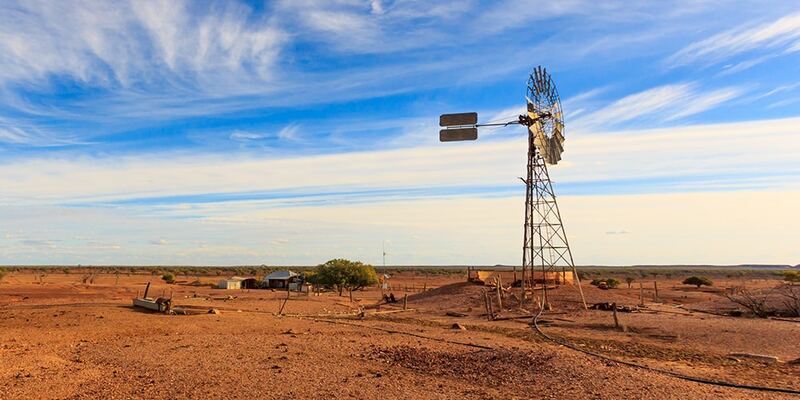 What structures and mechanisms are needed to ensure that those most affected by food and farm insecurity in Australia are heard? How do we strengthen social and political networks to sustain transformative public policy making in food and agriculture? Join international expert Eric Holt-Giménez as he explains how social movements are addressing the economic and political structures that currently work against sustainability. Eric Holt-Giménez, PhD is an agroecologist, political economist, lecturer and author. In his path-breaking participatory research, “Measuring Farmer’s Agroecological Resistance to Hurricane Mitch,” 2,000 farmers documented the superior sustainability of agroecologically-managed farms to conventional farms in Central America, spurring the Movimiento Campesino-a-Campesino (Farmer-to-Farmer Movement), a transnational peasant movement for sustainable agriculture. His first book, Campesino a Campesino, chronicles nearly 30 years’ work with peasant culture and agroecology in Central America and the political, socioeconomic, and ecological factors that galvanised the movement. As the current Executive Director of Food First, Eric’s work both informs and amplifies the voices of social movements fighting for food justice and sovereignty across the globe. Food First’s frontline publishing approach brings researchers, writers, and social movements together in a collective effort to amplify the voices of frontline communities fighting for food systems transformation. Eva Perroni is an independent researcher and writer promoting just, healthy and resilient food and agriculture systems. An advocate of sustainable agriculture and social justice, her work profiles environmental leaders, grassroots movements and life-enhancing farming methods that are working to nourish the planet and its people. Eva’s work has been published by prominent food, environmental and human rights organisations, including Civil Eats, Food First, Food Tank, Sustainable Food Trust and the United Nations Association of Australia. Joel Orchard is a farmer, food systems activist and a passionate advocate for young farmers, local food and agroecology. His expertise and interest is in exploring farming as a communication tool for the new culture and narrative of the young farmers movement. Joel’s focus has been the social sustainability of local food production through tackling the issue of an ageing farmer population. Alana Mann is Senior Lecturer in the Department of Media and Communications, Faculty of Arts and Social Sciences (FASS), University of Sydney, Australia, and a key researcher in the University’s Sydney Environment Institute. Her research focuses on the communicative dimensions of citizen engagement, participation, and collective action in food systems planning and governance. She is a Chief Investigator on the Australian Research Council (ARC) funded project FoodLab Sydney (2018-2020) with partners including the City of Sydney and FoodLab Detroit, and is collaborating with Macquarie University and the University of Technology Sydney (UTS) on the project Growing Food and Density Together: Enabling Sustainable Place-making through Local Foodscapes in the Inner City, funded by Urban Growth NSW. In 2018 Alana was a visiting scholar at Harvard’s Food Law and Policy Clinic and the Department of Development Sociology at Cornell University. She is the author of Global Activism in Food Politics: Power Shift (2014) with a new monograph on the synergies between the participatory practices of rural and urban food movements due for publication in 2019. Her professional experience includes roles in media, marketing, and public relations for organisations including Fairfax Media, publisher of The Sydney Morning Herald, in Australia and the Food First Information and Action Network (FIAN International) in Germany. She served on the Executive Committee of the Australian Food Sovereignty Alliance (AFSA) in a volunteer capacity for two years.